Based on your interest, you can start working on the above domains. In this project, you will Import the car model and an impactor. Then the model needs to be transformed along various directions and the mesh is cleaned up for any free nodes and elements using HyperMesh. Proper contact is defined for the interface between the bodies. Finally, after running the simulation, the solution is post-processed, checked for any errors in HyperCrash and the results are validated against FMVSS 216 TARGET (3*GVW) by Crossing-plotting the Force-Time and Displacement graph. 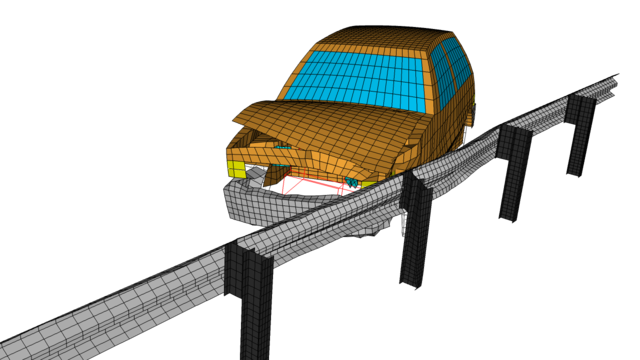 In this project, after importing the model, the mesh is cleaned up for any errors. The interface is defined between the impacting bodies. Various mass loads are added to balance the center of gravity and the simulation is set up to run using Radioss. The output results are then post-processed and the intrusion into the B-Pillar, Hinge pillar, and the fuel tank are measured in Hyperview. Finally, recommendations are made to reduce fuel tank intrusions. In this project, the simulation is set up by creating a rigid wall for the model to impact on. Mass balancing is done to achieve a target load of 700kgs and GC at a specified coordinate. Finally, the simulation is run and post-processed in HyperCrash. Various output results like axial forces on the rails from the bumper, shotgun cross-sectional forces are studied. 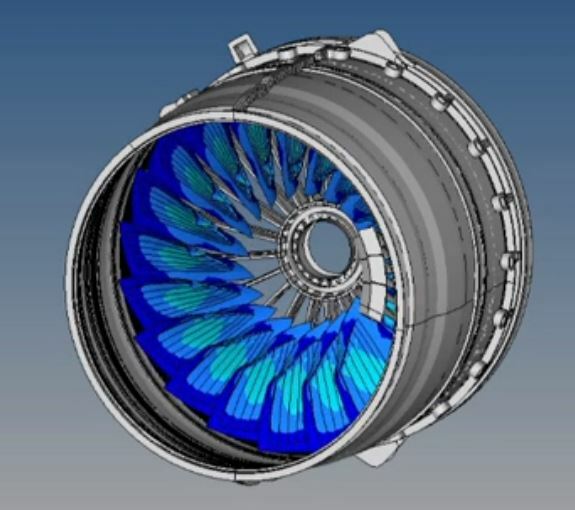 HyperMesh is one of the most populat Finite Element Preprocessor used to generate meshes of complex model. HyperCrash is a pre-processor for Radioss which is tailored to meet the needs of a crash users. You will be using Plot Builder to create annotated plots directly from engineering simulation. Satheesh has done several projects in Crash-worthiness analysis using Radioss as the solver and Hypermesh as the pre-processor. Nikhil is a mechanical engineering student graduating in 2019 with an interest in automotive design and crash worthiness. You can apply for the Academic Version of HyperWorks through our gateway.